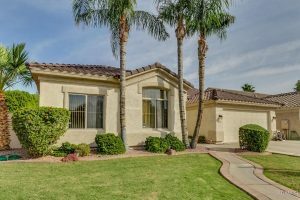 Neely Farms is a quaint family-oriented neighborhood located in Gilbert, AZ close to the historic, Heritage District; providing great access to nightlife, shopping and amazing restaurants. Just South of Warner and West of Lindsay, this community started as the Neely Family Farm. Homes in Neely Farms construction started in the mid 1990’s by Ryland Homes, Continental, Hacienda Builders, and Woodside Homes. Although these homes were mainly constructed in the 90s and early 2000’s owners have since took pride in their homes, and have kept up maintenance of the properties, many upgrading and remodeling their homes as interior design trends have changed. Although the average age of Neely Farms’ owners are 42, this neighborhood is great for families of any age, and tend stay here for years. 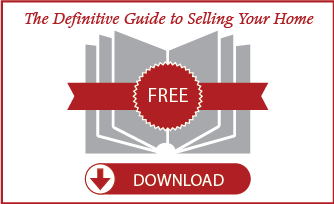 Homeownership is at 70%, showing that people purchase, and live here as apposed to renting out their homes. 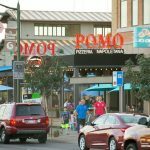 This also shows a great sense of community and how this neighborhood is in demand. 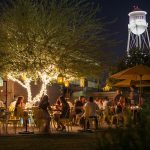 Being located in the heart of Gilbert, AZ (Just miles from the main down town center) residents are close to shopping and family activities. 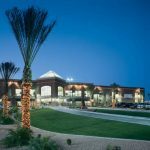 Lifetime Fitness is very popular for Neely Farms residents, as it is in their backyard! The fitness center provides a Country Club atmosphere, with classes and all kinds of activities for the kids. 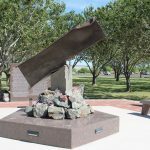 Additionally, Neely Farms is located to many public parks including The Gilbert 9/11 Memorial and Freestone Park. 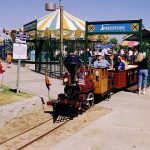 Freestone Park has everything from biking and walking trails to batting cages, softball and baseball fields, sand volleyball courts, carousel and a playgrounds. 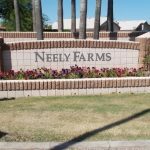 Neely Farms is in the Gilbert Unified School District, and is in the Settler’s Point Elementary, South Valley Jr. High School, and Campo Verde High School boundaries. All are well, respected schools and provide students with a competitive learning environment. 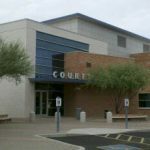 Even with the excellent public schools, Gilbert has many private and chartered schools that are top ranking as well. The majority of homes in this community are 3 to 4 bedroom homes, some include an office or den that is easily converted into an additional bedroom. Although two story homes are prevalent in Neely Farms, single level homes were built as well. Although most of the lot sizes are similar, some range depending on where the home was built. Because this community is in a great location and close to everything homes are in high demand. Average days on market are low, and homes sell for right around asking price. 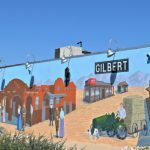 Gilbert’s crime rate is low compared to surrounding ares, so it is ideal for winter visitors as well as families alike. Although prices peaked in 2005, the market has fully recovered since the crash, and home prices are continuing to rise due to the shortage of inventory. 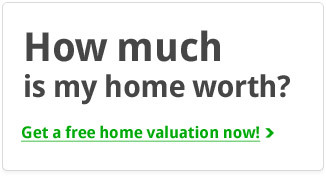 If you are considering Neely Farms as a neighborhood to raise your family, purchasing here is a good investment for home prices, but in your child’s future as well.